I had been hoping to photograph the full moon over the Ring of Brodgar on the last day of my holiday. I wasn't able to do so - not only had I broken my camera lens, it was also rather foggy in Orkney on Friday. 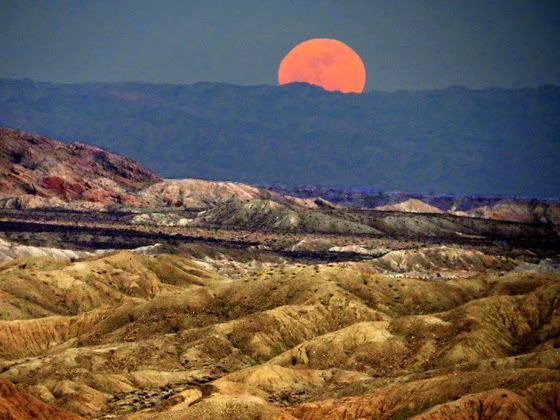 Reading about my camera woes, American author James C Wallace kindly sent me this lovely photo he had taken of the full moon over the badlands near where he lives. He said: "Sorry to hear about your broken camera lens. I did a bit better up here in the North Dakota oil fields." It is an amazing photo - tempting me to take my next holiday in the USA.